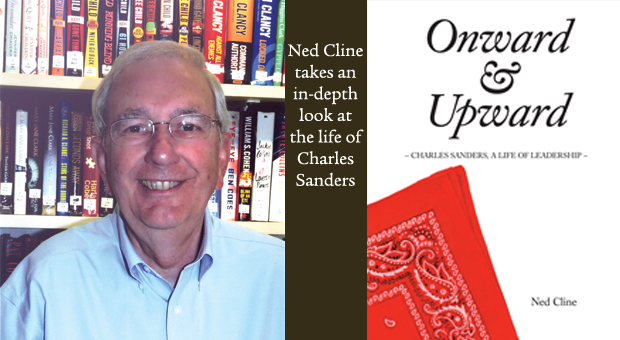 Ned Cline, a veteran North Carolina journalist, has chronicled the lives and careers of public officials for more than 40 years. This is his eighth biography since leaving daily journalism where he was a reporter, editor and public issues columnist. He studied politics at Catawba College and was a 1973-74 Nieman Fellow at Harvard University. He and his wife, Linda, reside in Burlington, NC. About Charles Sanders — cardiology researcher, physician, Boston’s Mass General CEO, GlaxoSmith-Kline CEO, and leader of national and international civic endeavors. We don’t get many people like Charles Sanders. . .but he’s my kind of Democrat, a great businessman, experienced on important issues and a great human being." Charles Sanders is a statesman and man of grace. " I have found him to be an amazing leader and as a clear and strategic thinker with a depth of understanding of issues. He’s also remarkably accessible and likeable. " Charles Sanders has leadership qualities stamped all over him. He has remarkable talent as a leader, firm but yet gently compassionate. " I was looking for a person of character and integrity, someone who knew how to run a business and who had something of value to contribute. What better person than Charles Sanders (a lottery opponent) to ensure it would be done correctly."